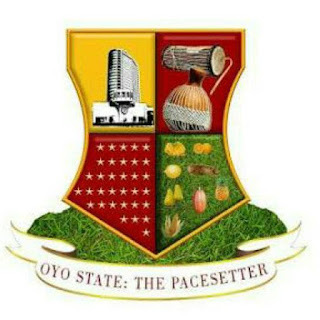 The Oguntayi and the Adio ruling houses in Lanlate, Ibarapa East Local Government Area of Oyo State on Tuesday appealed to Governor Abiola Ajimobi, the state Commissioner for Local Government and Chieftaincy Matters and the Ibarapa East Local Government Area to as a matter of urgency implement the October 5th judgment which favored the two ruling houses as the rightful owners of the Onilala stool. An Oyo State High Court sitting in Eruwa under the leadership of Justice B. A. Taiwo had on 5th Friday October, 2018 delivered the judgement in favour of the claimants, Sunday Olusegun Oladejo, Olagoke Atunwa, Prince Oyeleke Jolaoso and Raufu Adelowo against Abdulateef Olagoke, K.M. Olaosegba and Makanjuola Aderoju. The two ruling houses, it was learnt approached the court praying the court to nullify the appointment of Abdulateef Olagoke as the monarch of the town. Also joined in the suit were the Governor of the state, Attorney General in the state, Commissioner for Local Government and Chieftaincy Matters and Ibarapa East Local Government Area. But, the court in the judgement sheets delivered on Friday 5th October 2018 and made available t on Tuesday nullified the appointment of Abdulateef Olagoke as the Onilala of Lanlate and subsequently ruled that Sunday Olusegun Oladejo is the rightful owner of the stool. But, since then the state and the local governments are yet to implement the judgement on the stool. Counsel to the two ruling houses, Barrister Mufutau Eyitayo while addressing journalists in Ibadan, the state capital appealed to Ajimobi and the state commissioner for Justice as well as the authority of Ibarapa East Local Government Area to without waisting more time but to install Sunday Olusegun Oladejo as the Onilala of Lanlate. Eyitayo who flanked with Prince Osu Olagboye and Prince Oyeleke Jolaoso from Oguntayi ruling house and Alhaji W. Lawal, Bamidele Akeem, and Prince Adelowo R.A from Adio ruling house lamented that it was unfortunate that the ruling of the court has not been implemented by the local government area by installing Oladejo as the monarch of the town. He said, "An address delivered on the recent judgement concerning Lanlate stool by Oguntayi and Adio ruling houses of Lanlate. Gentlemen of the press, it is a great pleasures addressing you in respect of October 5th 2018 judgement delivered by Justice B. A. Taiwo in the High Court of Justice of Oyo state, Eruwa judicial division. "The above-named families wish to appreciate the Oyo State Government for allowing fair hearing during the legal tussle over the Onilala stool. We sincerely appreciate Senator Senator Abiola Ajimobi for giving the judiciary a freed hand to operate in delivery of justice to the common man. "Gentlemen of the press, ladies and gentlemen, we are using this medium to appeal to the Oyo State government led by Executive Governor of the state Senator Abiola Ajimobi, the Commissioner for Local Government and Chieftaincy matters as well as Ibarapa East Local Government to implement the judgement of the 5th day October 2018 delivered by Justice B. A. Taiwo in favour of the Oguntayi and Adio ruling houses. "We believe that this government works hand in hand with the judiciary and so we appeal that the Oyo State government should implement the prayer of the claimants, granted by Justice B. A. Taiwo. "The above-named ruling houses will continue to be law abiding in the belief that the judiciary is the last hope of the common man. The prayer granted by Justice B. A. Taiwo include prayers 3,4,5,6,7,8,9,10,12,13,14,15,16 and 17. "We are now begging the state Governor, Senator Abiola Ajimobi, the Commissioner for Local Government and Chieftaincy Matters and Ibarapa East Local government Area to implement the Court judgement concerning the Onilala of Lanlate stool by Justice B. A. Oguntayi. "We are begging them, please help us to beg them. Help us to appeal to them. That is why we are begging them appealing to them to implement the judgement."